514 Broadway St, Homewood, AL.| MLS# 831513 | Richard Jacks UABLIVING.com 205-910-2297 | Birmingham AL Real Estate | Contact us to request more information about our Homes for Sale in the Birmingham AL area. 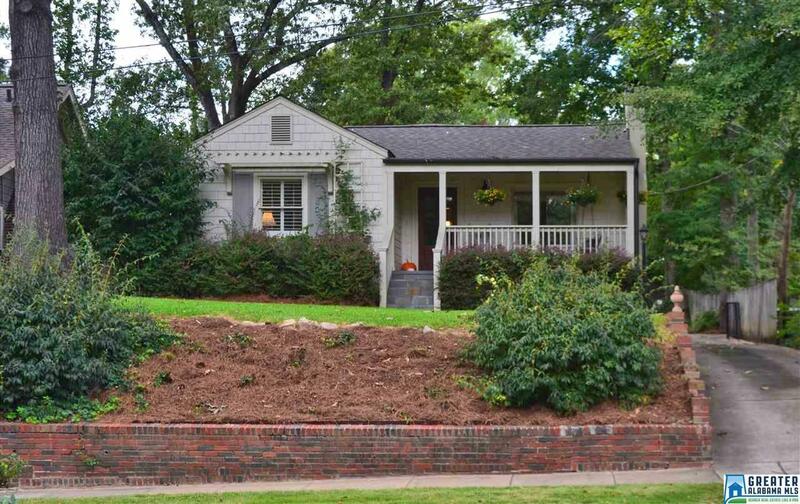 A MOST CHARMING HOMEWOOD COTTAGE! UPDATED AND MAINTAINED TO PERFECTION! HUGE BACKYARD FOR EXPANSION OR JUST ENJOYING THE OUTDOORS FROM THE OVERSIZED DECK! 3 BEDROOMS/2 UPDATED BATHS--HARDWOODS--SMOOTH CEILINGS--STAINLESS APPLIANCES & WHITE KITCHEN--FIREPLACE--COVERED FRONT PORCH--WONDERFUL MASTER SUITE WITH NEW BATH--OFF STREET DRIVE AND PARKING--FORMAL DINING--LARGE OFFICE OFF KITCHEN(BUILT IN BOOKSHELVES & COMPUTER SPACE)--M/L LAUNDRY--WALK TO HOMEWOOD ENTERTAINMENT AREAS, PARKS, SCHOOLS, CHURCHES, ETC. ONLY MINUTES TO DOWNTOWN! MOVE IN AND HAVE NO UPDATING AND A HOMEWOOD ADDRESS!